Reproduction headlamp adjusting nut and screw. 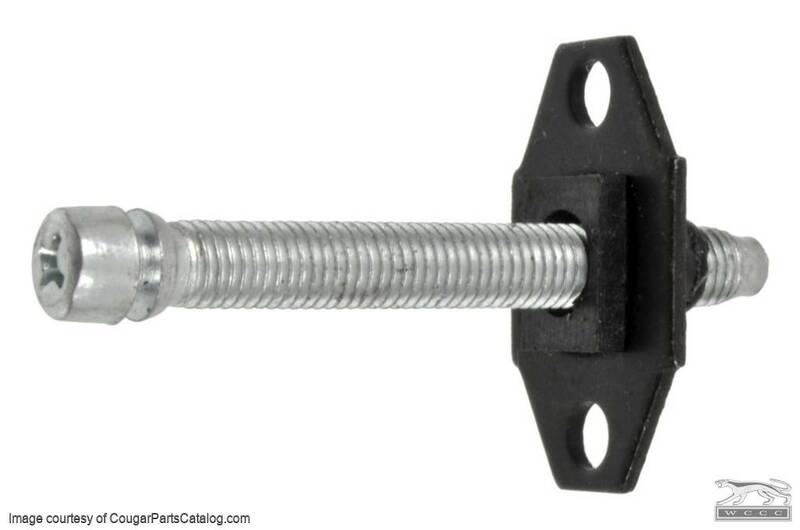 Slightly longer screw than stock, small amount of added length does not interfere with anything in or behind the grille. The nut is an exact copy of what is found on the 1969-70 adjustment. Almost the same as the nut found on the 1967-68 Cougar, this isn't even shown on those grilles. 1967-68 mounts on the backside of the headlight bucket. 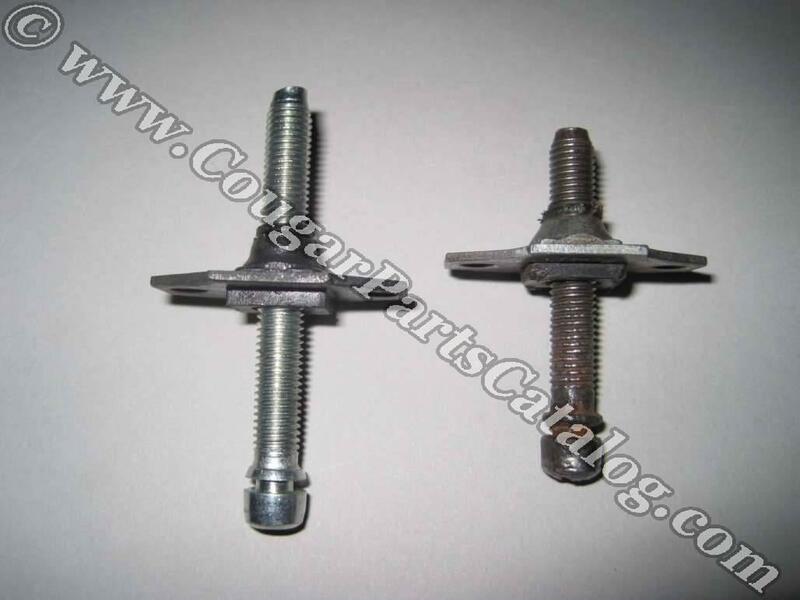 Total of 8 adjustment screws used on each 1967-70 Cougar, item sold individually. *Note - When installing on 1967-68 Cougars, one of these will need to be shortened about 7/16 inches to allow the hinge to operate properly. The location, is the adjuster that is in the middle, between the headlamps as viewed from the back. Thanks to Cougar owner Bob R. for the warning. Great fit and finish. Replace old ones with broken plastic, finally able to aim headlights correctly. Had already rebuilt one half of the grille when I decided I should order a few of these to have extras on hand in case the aged components broke while adjusting the headlights. After putting new ones in the other half of the grille, first turn of one of the screws broke the square nut loose. Off with the grille and I was glad I had a few extras. It was the only one that broke, just a little sad for a $3+ part. Otherwise they worked great to get my Cat back on the road at night. Buy the new over old here.